Mattis also assured that his country would continue its security and economic cooperation for enhancing bilateral relations between the US and Afghanistan, according to a statement released by the Presidential Palace. 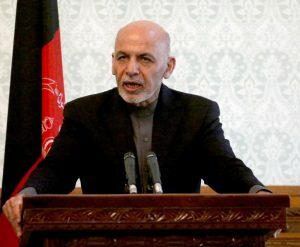 Heading a ranking delegation, which also included Chairman of the US Joint Chiefs of Staff Joseph Dunford, Mattis in the meeting with Ghani also exchanged views on the impact of US strategy on Afghanistan and South Asia, the upcoming Afghan parliamentary and presidential elections, the war on terror and talks with Pakistan, it said. The Afghan President, accompanied by Chief Executive Abdullah Abdullah, said that the Afghans and their government were thankful to Washington for its support to Kabul, the statement added. Mattis arrived here at a time when Washington is trying to make headway in Kabul after 17 years of war. The arrival of Mattis coincided with the recent takeover by Austin Miller from John Nicholson as NATO-led Resolute Support Mission and US Forces Afghanistan commander. 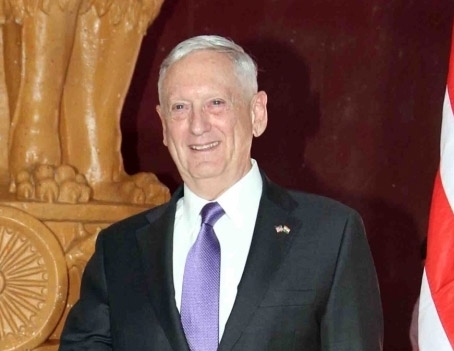 Mattis, who reached Kabul in the morning from New Delhi, had, along with the US Secretary of State Mike Pompeo, discussed with their Indian counterparts, Nirmala Sitharaman and Sushma Swaraj respectively, the importance of both India and the US in Afghanistan. 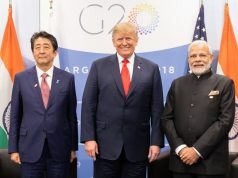 New Delhi and Washington reiterated their support for an Afghan-led peace process in a joint statement on Thursday, in which the latter acknowledged the former’s longstanding and ongoing contribution to Afghanistan as well as India’s role in its neighbour’s development and stability. The same subject was addressed by Pompeo and Mattis during their stopover in Pakistan, where the Secretary of State stressed the need for Pakistan “to seriously engage to help us get to the reconciliation we need in Afghanistan”.